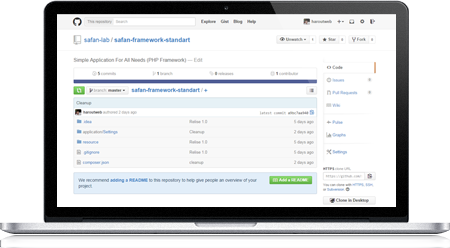 "Safan" means "Simple Application For All Needs". The very idea on which a Web project is based. All our products and services are designed to make developers' lives easier and allow them to focus on designing a project's most enriching features and business specifications. So developers don't have to reinvent the wheel for every project, but can use a framework and pragmatic development processes.